Anterior Cervical Corpectomy is a surgical procedure in which the vertebral bone and the intervertebral disc material is removed. The procedure is performed to relieve pain caused by stress on the spinal cord and spinal nerves in the neck. This surgery involves accessing the cervical spine from the front. Due to the amount of vertebral bone or disc material that has to be removed to relieve pressure on the spinal cord or nerves, spinal fusion is typically needed. Anterior Cervical Corpectomy is suggested for patients who have nerve compression in the cervical spine. 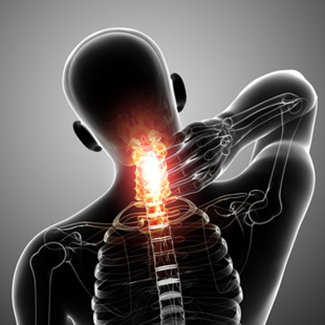 The nerve compression in the cervical spine causes neck pain, numbness and weakness in the hands, arms, and shoulders. This procedure is also suggested for patients who show symptoms such as pins and needles, tingling, or weakness in the hands and arms. More serious symptoms can be stumbling, loss of balance, and a loss of control of bowel and bladder. Cervical Corpectomy is recommended only for patients who have gone through conservative treatment but these treatments failed. What are the steps involved in Cervical Corpectomy? This surgical procedure approaches the neck from front. The surgeon cleans the skin and makes a small vertical incision in the front of the neck. The skin and neck tissues are gently retracted to access the cervical spine. The surgeon removes the damaged disc between the upper and lower vertebrae. The diseased or damaged vertebra (or vertebrae) is also removed to relieve the pressure on the spinal nerves and spinal cord.